Not only is dancing good for you physically but it’s also a great mood booster too. So if you have the January blues, put on your dance shoes and simply dance them away. 2. You can burn more calories that jogging! An aerobic dance sesh can burn upwards of 443 calories per hour. And yes, that booty shaking salsa class, jumping jive or quickstep Chasse-ing totally counts. It’s a good way to make friends or meet a partner. Dancing is a very sociable past time and often groups develop a strong bond and stay friends for many years. In social dancing you meet a lot of people, it’s a bit like a speed dating with body language! 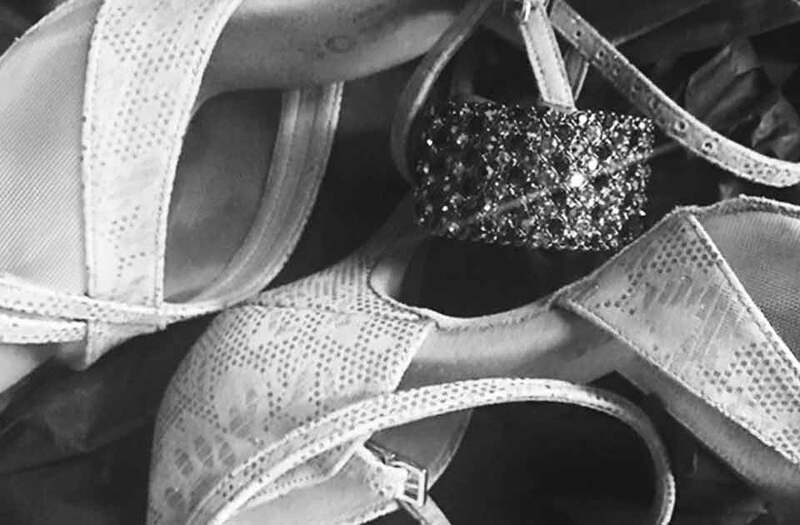 You don’t have to dress up, but going to a social dance event is a great excuse to put your best dress, Swarovski clear crystal earrings or even a wow black crystal cuff bracelet to match your dazzling dancing shoes and take your moment in the spotlight. "Nobody puts Baby in a corner!"